The Preset that a DART controller is able to keep in memory is divided in two PAGEs that can be switched to access two indipendent configurations. On the main screen of the DART_EDITOR, select the ITEM that is related to the INPUT pin on which the PAGE switch has been connected (in this example the modifier number 12). Complete the switch setting the same way you do for a button. in fact the page switch sends a midi signal like any button. 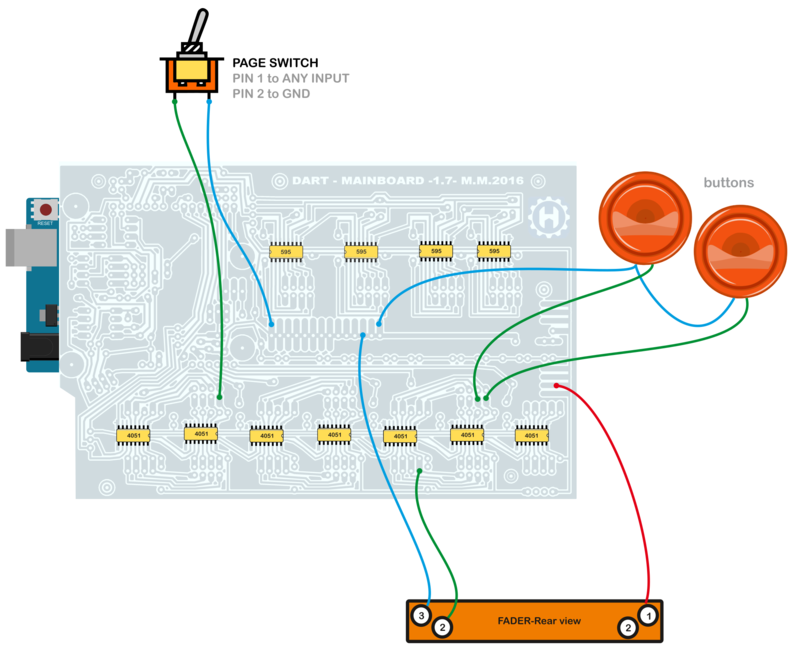 Complete the settings for the buttons and the pots of your DART_MOBO based machine. 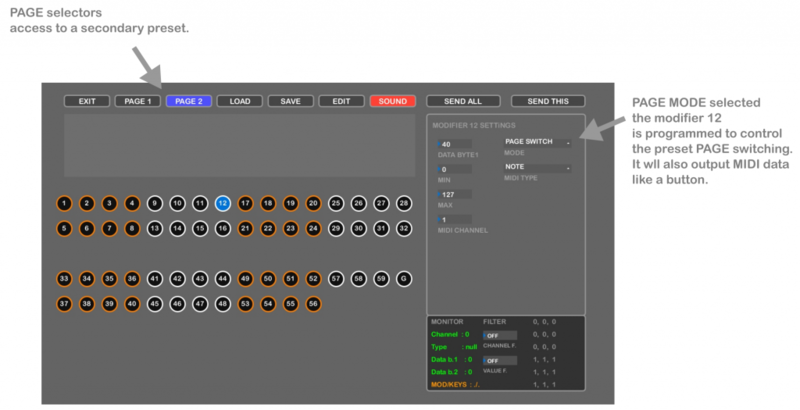 Complete a different setup for the buttons and the pots, changing MIDI channel, type or other parameters. 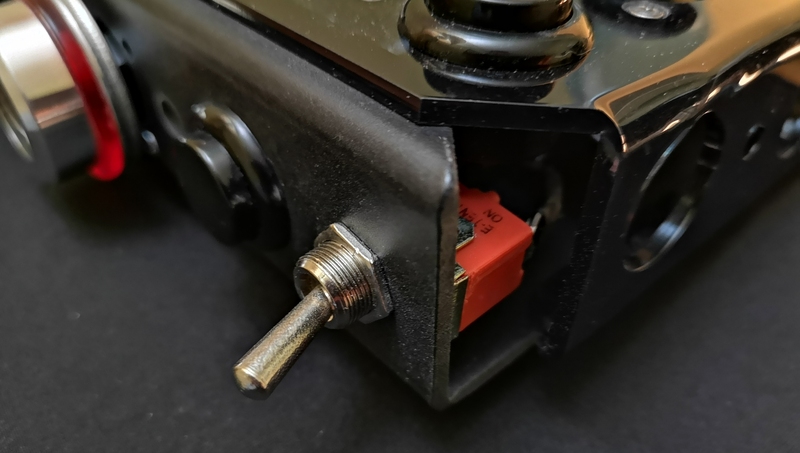 The switch can be connected on any of the 48 Inputs of the DART_MOBO, in exactly the same way as normal buttons are connected. In this example the page switch is connected to the INPUT PIN 12.